Celebrate Saint James’s Day with CaminoWays.com at their first ever walking festival in Ireland. 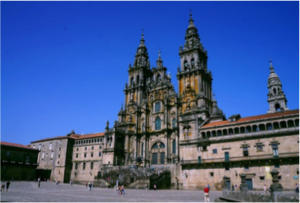 The Day of St James is a popular celebration in Spain especially in Santiago de Compostela as remains of St James are said to be buried in the city’s magnificent cathedral. This year, CaminoWays.com are bringing the celebrations to Ireland and are inviting Camino fans, walking enthusiasts and families to celebrate with them on Sunday 27th July at 9.30am in the Wicklow Mountains. For just €10pp, participants will be able to take on various walking trails including a manageable 4km trail, a family-friendly treasure hunt and a longer 14km guided trail for more experienced walkers. On the day, there will also be some delicious Spanish food as well as competitions and entertainment which will be announced closer to the date. The numbers of Irish people choosing to walk the Camino is increasing every year and the Irish are now among the top 10 nationalities on the Camino. The CaminoWays.com Saint James walking festival will be a ticketed event with limited space so make sure you book your tickets in advance. There will also be special rates available for charities and families. Lough Dan, Roundwood, County Wicklow. Sunday 27th July 2014 from 9.30am. Tickets cost €10pp, with special rates for charities and families. Ticket includes parking, guided walks, food and information talks. Keep up with the CaminoWays.com Walking Festival 2014 updates on the CaminoWays.com Facebook Page. Start planning your Camino trip today by logging onto www.caminoways.com or calling 353 (0)1-525-28-86.